International experience, having worked in several countries, has inspired me to see engineering in a different way. During my career I have met some high performing people. To some of these people I put forward the idea of creating "customized" teams, made up of the specialists needed for each individual project. 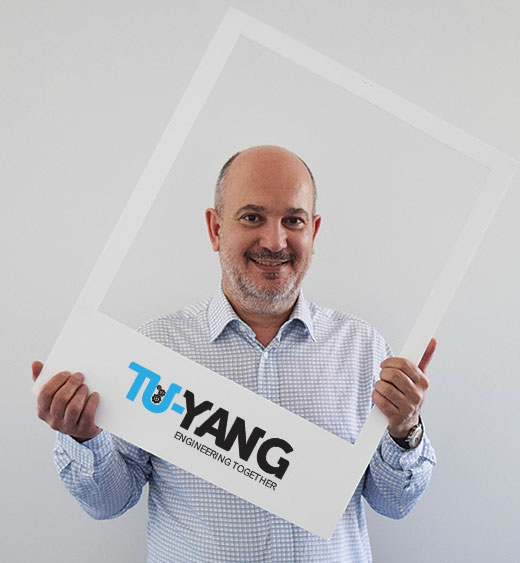 From this experience is born: Tu-yang : a customer-focused network based on "made to measure" teams. tú yàng 图样 in Chinese stands for "blueprint". It may be pronounced in several languages. It represents our services which are specific and original like our know-how. It is also a reference to internationalism. It is a reminder of the basics of engineering and of one of its foundations: technical drawing.